response from property - Mar 05, 2019 Wow Jayce! We sure appreciate you and enjoy having you in our community! Thanks a million for the 5 star rating! You are the best!  Valley Ridgesubmitted by Jeffrey W. - Nov 03, 2017 |Recommended: YesI know a few people who live there, and know quite a few others who have lived there. The current Properties Manager Is really a great efficient person, and from whatI have heard, is better than anybody before her.